Paul Maassen has been appointed as the first Civil Society Coordinator for the Open Government Partnership (OGP). OGP is an ambitious multilateral initiative that aims to secure concrete commitments from governments to promote transparency, empower citizens, fight corruption and harness new technologies to strengthen governance. The position is hosted by Hivos. 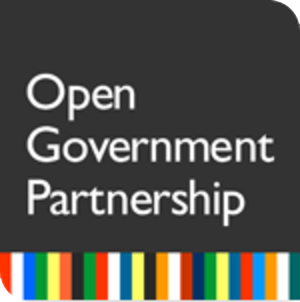 The Open Government Partnership initiative was launched in September 2011 by US President Obama and Brazilian President Dilma Rousseff, 6 other governments and 9 founding civil society organizations (CSOs). Since then the partnership has grown to include a total of 53 governments. This week thefirst OGP Annual Meeting is taking place in Brasilia. Unusual for such global initiatives, the OGP is jointly established and governed by governments and CSOs from across the world, and reflects an innovative new approach to citizen centered governance. OGP is supported by an international network of donor organisations united in the Transparency and Accountability Initiative (T/AI), of which Hivos is a member. The OGP CSO coordinator will promote and facilitate the active engagement of civil society in the OGP. The coordinator position is hosted by Hivos, but supports and reports to the civil society members of the OGP Steering Committee. The post is independent of the OGP secretariat. Paul Maassen worked earlier with Hivos as team manager for the ICT & Media programme, was involved in the establishment of the East African citizen agency initiative Twaweza, attained private sector experience with Dutch telcom company KPN and studied industrial engineering and management. He currently works as Head of Finance and Partnerships of WWF Internationals Global Climate & Energy Initiative. He begins his work on the 15th of June. The T/AI Initiative is created by a group of global, private and government funders committed to strengthening democracy and development through empowering people to hold their governing institutions to account: Ford Foundation, Hivos, International Budget Partnership, Omidyar Network, Open Society Foundations, Revenue Watch Institute, United Kingdom Department for International Development and the William and Flora Hewlett Foundation. It is co-chaired by OSF and DFID.